Paper proposals are invited for the eleventh conference of the International Network for the History of Hospitals, which will take place in Malta, 6–8 April 2017, hosted by the Mediterranean Institute at the University of Malta, and the University of Warwick. 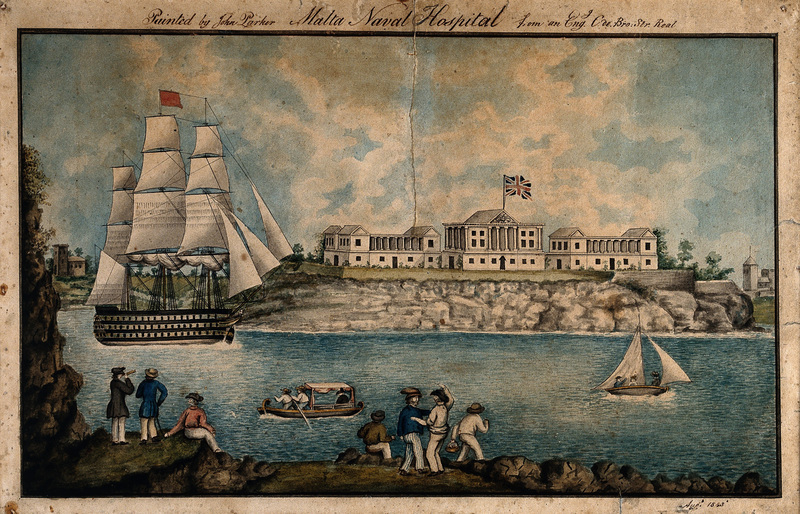 Royal Naval Hospital or Bighi Hospital, Malta, with sailors dancing on the shore. Coloured pen and ink drawing by J. Parker, 1843, after C. F. de Brocktorff, c. 1819 (?). Wellcome Library no. 18259i. Wellcome Images V0013896. Beauty, and its perceived absence or loss, has been a part of hospital experiences, therapies and planning throughout history. This conference aims to shed new light onto the history of beauty and health by exploring the subjective concepts of beauty, ‘normality’ and their opposites within and around the hospital. The conference will consider the relationship between beauty and the hospital in history through an examination of five key themes: (1) the arts and the hospital; (2) landscape and environment; (3) restoring beauty; (4) patient and staff experiences; and (5) beauty and the senses. Below are more details about the themes the conference will address, along with related questions. 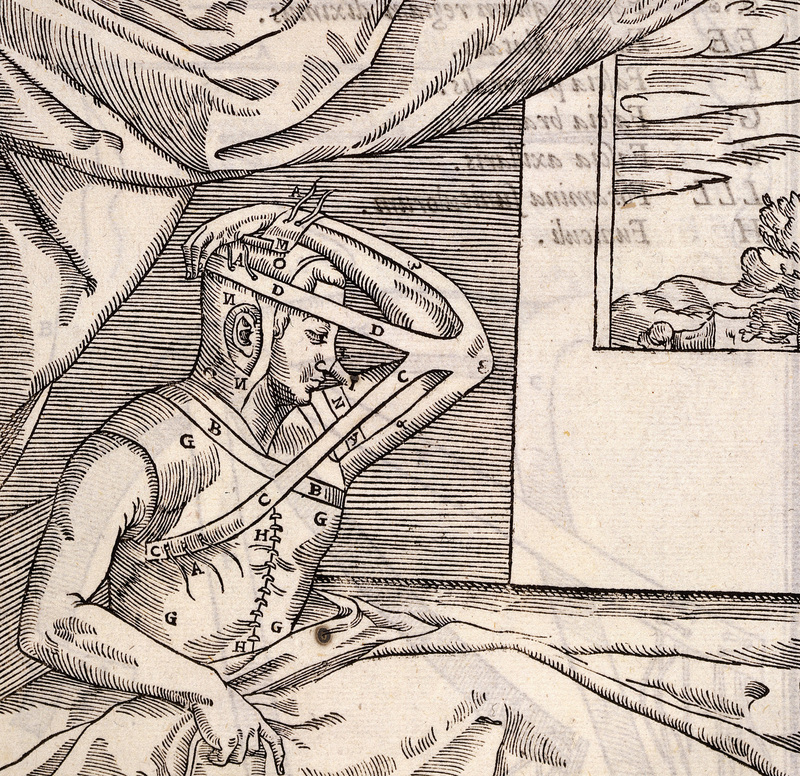 These themes and questions are by no means exhaustive, however, and we encourage the submission of abstracts that discuss other aspects of beauty and the hospital in history in innovative ways. EPB/6210/D/1: Gaspare Tagliacozzi, De curtorum chirurgia per insitionem, libri duo (Venice: Apud Gasparem Bindonum juniorem, 1597), Icones, p. 18. Wellcome Images L0031762. • How has the beauty of the arts been perceived to affect encounters within the hospital, been promoted by hospital patrons, or been used as a healing therapy in the hospital? • How has the beauty of a landscape or environment – or its absence – shaped the choice of location for hospitals, and why? • How have landscape and environment been adapted to affect hospital therapies and conditions? • How did ancient ideas about the influence of environmental conditions upon health affect hospital care in the medieval and early modern periods? • Who decides what is beautiful or aesthetic, and whether and how that beauty should be restored? What strategies have been used in hospitals to restore or enhance that beauty, be it physical, mental or emotional? • What happens when beauty or health cannot be fully restored? How have such therapies been depicted? • How have patients and staff experienced beauty or ugliness in hospitals? How and why has their access to beauty been encouraged or restricted? • How was daily life in the hospital informed by the desire to create a beautiful order structuring the resident community? • How can we understand beauty – or its perceived absence – through the senses of smell, touch, sight, taste and hearing? How has the hospital been a place for the care, enhancement or experience of the beauty of these senses? The Advisory Board of the INHH, as organisers of this conference, wish to invite proposals for 20 minute papers which address the conference theme. Potential contributors are asked to bear in mind that engagement with the theme of beauty and the hospital will be a key criterion in determining which papers are accepted onto the programme. Abstracts should be a maximum of 300 words in length, in English and accompanied by a brief self biography of no more than 200 words. Proposals should be sent to beauty.inhh@gmail.com by 15 May 2016. As with previous INHH conferences, it is intended that an edited volume of the conference papers will be published. Submissions are particularly encouraged from researchers who have not previously given a paper at an INHH conference. Yazıyı paylaş "Beauty and the hospital: Call for papers"